The ecosystem of the gigantic lake whose annual flood cycle has been the pulse of Cambodia for millennia, and on which millions depend for food and irrigation is set to spectacularly collapse, throwing into question everything from Cambodia’s food security, to its economy, to its demographics. One of Malaysia’s largest real estate consultancy firms, Rahim & Co International Bhd, unveiled plans to set up shop in Cambodia as part of an Asian expansion strategy, according to a Malaysian media report. Bangladesh will import rice from Cambodia. 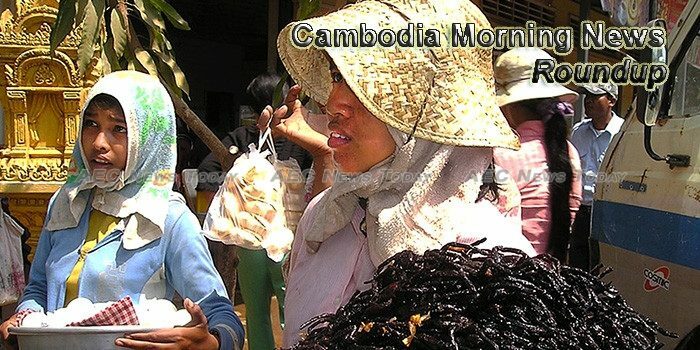 The two countries are expected reach an agreement tomorrow, according to an official in the Cambodian Commerce Ministry. Cambodia’s national carrier Cambodia Angkor Air announced on Friday that it received the IATA Operational Safety Audit (IOSA) certificate, describing it as firm recognition that the airline was in compliance with international quality and safety standards. Siem Reap provincial administration and the Apsara Authority issued a formal announcement to remove illegal construction in Zone One and Zone Two at Angkor Site from August 10. Minister of Foreign Affairs and International Cooperation, Prak Sokhonn, is scheduled to participate in the ASEAN Foreign Ministers’ Meeting and other related meetings in Manila from August 5-8. Their “Cambodia Identity Product” mobile app was selected from over 1,100 apps worldwide and the girls will compete against other teams from India, Canada, the United States and Hong Kong.